Hotel Shamrock International is located opposite the New Bus Stand, Behind Jai Hind Hosiery Market in Raipur. 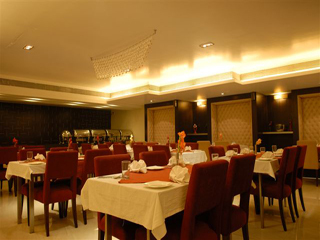 Hotel Shamrock International offers modern conference and banquet facilities to the guests. Silver Leaf is a spacious hall that can be used for conference as well as banquets. Exhibit Space, Currency Exchange, Security Guard, Backup Generator, Express Check-In/Check-Out, Travel Counter, Laundry Facilities, Restaurant, Audio-Visual Equipment, Breakfast Services. Voicemail, Smoking Rooms, Cable/Satellite TV, Television Room, Bottled Water in Room, Bathtub Only, House Keeping, Complimentary Toiletries, Air Conditioning Room, Attached Bathroom. User reviews for "Shamrock International Hotel Raipur"